Jen Chantrtanapichate is an artist, community arts educator and activist from New York City. She received a BA in Urban Studies and a Masters in Urban Planning from Hunter College. In 2012 she co-founded the Sixth Street Youth Program. Since then, she has been directing Sixth Street Community Center's thriving youth programs and adult workshops. Her personal interests in the arts, urban sustainability and environmental justice have inspired the core pillars of the youth program here at Sixth Street. 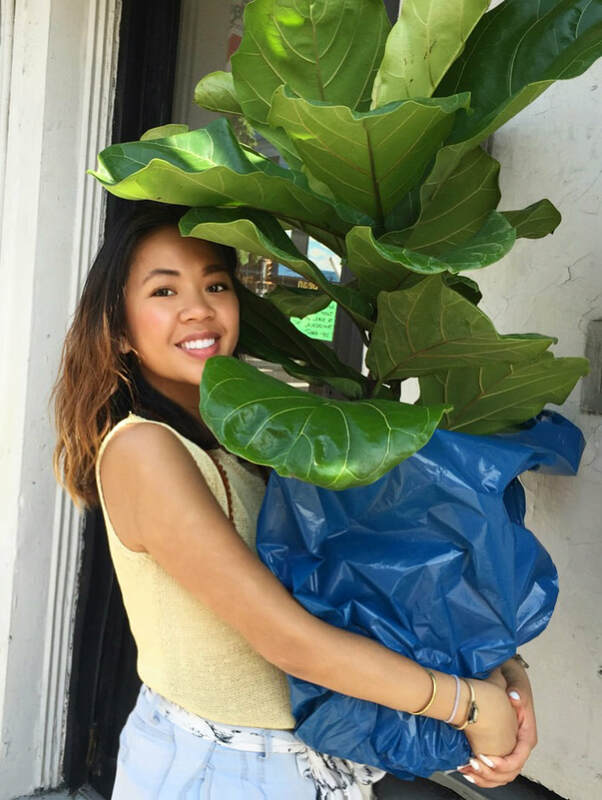 When she isn't at Sixth Street, you can find her community organizing around waste equity and sustainable waste solutions in North Brooklyn, painting and making jewelry in her studio or playing with her dog at the park! Laura Langner is an urban gardening educator who is committed to connecting children to the Earth and the food they eat! Her favorite things to teach at Sixth Street are bees & pollination, environmental justice, and upcycling! She has loved working with kids since she was a kid herself and loves what they teach her, from minecraft to the floss dance. When she's not working, you may find her biking around NYC, hiking, singing, doing yoga, and eating good food. She is currently pursuing a MS in Environmental Policy & Sustainability Management at The New School! Myranda Acosta grew up in the Lower East Side just down the street from Sixth Street Community Center. She is passionate about performing arts, specifically music, dance and theater. When at Sixth Street, she aims to involve students in expression and movement as much as possible. On her own time, she attends live shows including stand-up comedy, improv, concerts and broadcast recordings. Myranda still lives in the neighborhood to this day and feels truly blessed to be part of this thriving community where Sixth Street has been an important part of her life for the last few years. Terrence Arjoon is a writer and educator from Brooklyn, New York. He is new to the Sixth Street team but has experience working with City Year New York in Long Island City and 826 Valencia in San Francisco. He recently received his Bachelor of Arts in Creative Writing from Bard College and is currently working towards his Master's Degree. He is passionate about holistic education and local action. In his free time, you may find him reading in the coziest chair at the cafe, writing in his small orange notebook, cooking delicious local food, and biking around Brooklyn. Ryan Moore is a creative and progressive instructor from Queens. Originally from Nevada, he spent much of his adolescence exploring the mountains and landscape of southern Nevada, which prompted a desire to promote a more Earth conscious mindset in today’s climate. New to the city and Sixth Street, his main priorities are environmental justice, social equality, mindfulness, and teaching the youth at Sixth Street to care about one another as well as themselves! He hopes to bring his vision of a better world into the youth program by leading workshops centered around fostering the true and untarnished creativity of the children.